The Cotswolds has an abundance of the most wonderful places to go when you travel with babies, toddlers and small children. 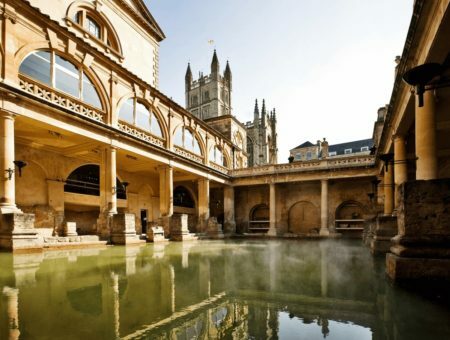 Whenever you travel as a family, finding appropriate activities and attractions for young kids and babies can be difficult, but luckily, not so in this region where it isn’t all about the Outstanding Natural Beauty, as we also have so many super places to visit in Cotswolds when you holiday and go on days out with children. The Bird and Deer Park in Prinknash, is the perfect place for a relaxing (if there is, in fact, such a thing when you’re out and about with your kids) family outing. Free roaming animals and birds offer close encounters while feeding, petting and learning about life at the park. Cogges Manor Farm in Witney is home to preserved farm buildings and hosts tours of film sets of Downtown Abbey and Arthur & George. The farm also includes farm animals, summer theatre shows, and the Cogges Kitchen good eats. It’s a super place for families and your little ones will have a great time at Cogges. Slimbridge Wetland Centre is your passport to explore nature at it’s best, and it is a funfest. Observe birds, otters, harvest mice, ducklings, and even a beaver. Visit this nature reserve and watch for wildlife sightings. But best of all, there’s a playground where splashing of water is encouraged (well, required, really!) so remember water proofs or swimsuits and a change of clothes. Gloucestershire Warwickshire Railway hosts a number of special events just for children throughout the year, journey to the ‘North Pole’ by steam train during December or partake in one of the many fun-filled family days out throughout the year. The Lido in Chipping Norton is the best place for a refreshing dip in a fantastic outdoor pool. It’s heated, run by locals, have lifeguards on duty, and a snack bar for an ice cream treat before or after a cool swim. Perfect on a hot, sunny day in the Cotswolds. Burford Garden Centre is, arguably, the mother of all garden centres. Apart from being an amazing one stop shop for plants, curated flowers, home décor, clothing, art, and much more, it is also a super place to spend a couple of hours (or 3!) with your little ones. With a toy shop full of the most beautiful, quality toys, clothes and accessories for kids, a selection of children’s books to rival that of most independent book shops and a restaurant that caters for kids in a truly welcoming manner, this shopping destination in the Cotswolds is a must when you’re in the Cotswolds with kids. Cotswold Wildlife Park is THE perfect place for a complete animal experience for all the family, but not least for the little ones. See eye to eye with a giraffe, get wild with lions, be playful with the penguins, and see how the rhinos make for great lawn ornaments. The kids can even get up close and personal with the enclosed farm animal experience. If your family loves animals, you’re in for an amazing adventure. Rugrats and Halfpints – a 13,000 square foot play area with HUGE tired play structures. Let the kids loose and allow them to explore their imagination as they slide, zip, jump and splash around in the ball pond. The Inland Beach at Cotswold Country Park is a popular attraction among locals and tourists. You don’t expect to be going to a place that it renowned for its beautiful English countryside and be able to also have a beach-style summer holiday, but you really can! 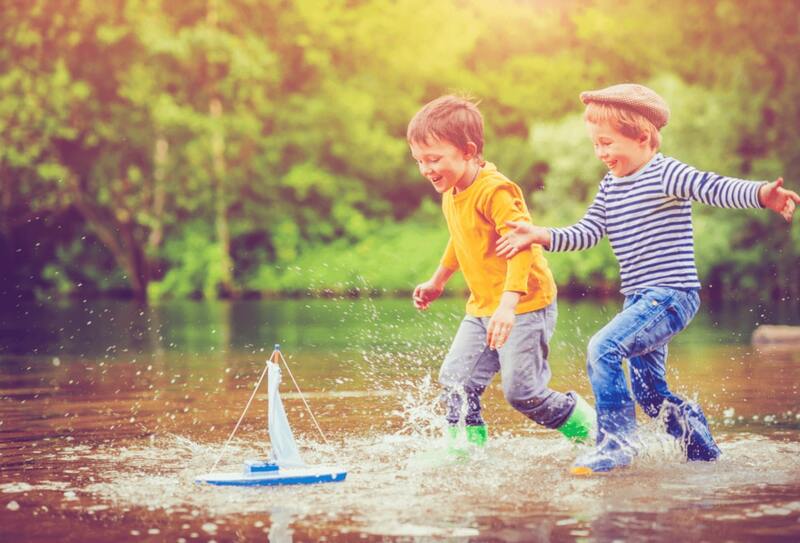 In the Cotswold Country Park you can enjoy water play and water fun in the sun while lifeguards watch for safety. The Bell in Sapperton is a real family-friendly pub and restaurant, one that offers a variety of hearty, traditional English dishes and tasty meals for kids. The Bell in Sapperton take pride in truly welcoming families and we love them for that. With its beautiful garden in the summer and the roaring fire during the winter, The Bell is a cosy place to visit, and one that is perfect when you’re dining out as a family. Birdland in Bourton-on-the-Water, showcases a large variety of all kinds of bird species, and even dinosaurs!? An odd combination, sure, but a family fun indeed and one place not to miss when you visit the Cotswolds with kids. The Toy Shop in Moreton-in-Marsh is any child’s dream come true.. literally! With 9 (that’s ‘nine’!) rooms filled with an abundance of toys including puzzles, magic tricks, wooden toys, crafts and sports equipment, what child would not love to be let loose in there? Broadway Activity Park is jam-packed with play structures surrounded by trees and shrubs. Structures and facilities include: a climbing wall, games area, courts for basketball and netball, zip wire, picnic area and much more! Cotswold Farm Park is fun-filled adventure right at your fingertips—literally with feeding time, meeting piglets, rabbits and chicklets. And what child doesn’t love to ride on a HUGE tractor?! There are milking demonstrations, interactive sheep shows and several play areas that are sure to keep the little ones happy for hours on end. Mary Arden’s Farm allows families to take a step back in history and discover what it was like to live in Stratford-upon-Avon if you were William Shakespeare. It is a working Tudor farm, and visitors can enjoy craft and falconry demonstrations and explore the historic buildings. The Cotswold Motoring Museum is, as they say, “a great day out for all the family.” Located in Bourton-on-the-Water, the museum boasts vintage car collections, caravans and classic cars and motorcycles, it’s even home to TV’s ‘Brum’, the little car super hero who is regularly on TV still and whose adventures start and finish at this wonderful museum in the beautiful Cotswold town of Bourton-on-the-Water. Enjoy the ride! The Fairytale Farm is a wonderful and magical experience. With four main entertainment zones that range from meeting amazing animals and playing in a sandpit to adventure play and taking an enchanted stroll, kids (and adults) will love the variety of fun activities. You see, family fun in the Cotswolds is very easy and friendly for visitors of all ages. Have fun, stay safe and enjoy time with your loved ones on your holiday or day out in the Cotswolds. Book a holiday cottage in the Cotswolds to enjoy any of these family friendly attractions, or discover more things to do in the Cotswolds in our travel guide.